LONDON, GREATER LONDON, UK, November 8, 2018 /EINPresswire.com/ — Nearly three-quarters of all environmental consultancies' (ECS) 2017 revenues were earned in North America and Europe, Environmental Consulting Services Global Opportunities and Strategies To 2021, as a new report from The Business Research Company shows, and these markets are continuing to grow as fast as or faster than the markets of Asia Pacific, South America, the Middle East and Africa. North America by itself accounts for over half the ECS industry's sales, while in both Eastern and Western Europe the markets are growing at twice the rate of any other region. ECS growth has, however, slowed in four regions out of seven – Eastern Europe, Western Europe, South America and the Middle East, but the fact that it has accelerated a tick in its biggest and third biggest markets of North America and Asia Pacific means that global growth has increased slightly. Environmental consultancies provide advice, assistance, and action plans to organizations and governments to help them manage their environment. Services cover environmental issues such as prevention of environmental contamination and emission of toxic substances, site remediation, water and solid waste management and pollution control. A major source of revenues for the industry is compliance and due diligence services, and climate change and energy policy adherence services. These include services to businesses and other organizations for obtaining licenses as well as compliance with government regulations. The environmental consultancies undertake environmental audits and quality assurance checks, conduct inspections, and help ensure companies comply with environmental laws, regulations and international standards. The environmental consultancy market is quite fragmented, with the five largest companies together sharing 22.5% of the global total in 2017. Despite this fragmentation, the larger international firms do succeed in competing more successfully for contracts than smaller ones because of their full-service offerings and reputations. In response, many of the smaller international businesses have developed niche skills and expertise. Merger and acquisition activity in the last three years has been at a medium level. A high proportion of deals were carried out by smaller companies in regional markets. Leading deals have included those completed by AECOM, Wood Group, Stantec, Bernhard, and ATC Group. is one of a series of new industry reports from The Business Research Company that identify opportunities and explain strategies in over 300 markets, covering over 2400 market segments and 56 geographies. It provides an environmental consulting services overview, environmental consulting services industry analysis, and past environmental consulting services logistics industry statistics and forecasts. Like the other reports in the series it also provides market growth rates, market trends, market drivers, market restraints, market revenues, market shares and company profiles of the leading competitors. These industry reports draw on 150,000 datasets. Extensive secondary research is augmented with exclusive insights and quotations from industry leaders obtained through interviews. Market analysis and forecasts are provided by a highly experienced and expert team of analysts and modelers. Actionable strategies are explained and key opportunities are identified. Data: Environmental consulting services market size and growth for 7 regions and 12 countries; global regional and country environmental consulting services market size and growth segmented by type of service; global regional and country environmental consulting services market size and growth segmented by end-user industry – mining, manufacturing and process industries, energy & utilities, governments and regulators, infrastructure % development, other end users ; global, regional and country environmental consulting services per capita consumption and market size as a percentage of GDP 2013-21; AECOM, Amec Foster Wheeler, Tetra Tech, Environmental Resources Management, ARCADIS, WSP Global, Stantec, SWECO, Cardno, RPS Group, ICF International, Ramboll financial performance 2013-21. Other Information: PESTEL analysis, drivers and restraints, customer and operational insights, environmental consulting services market by country covering opportunities, environmental consultancy services associations, investment and expansion plans, corporate tax structure and competitive landscape; environmental consulting services market trends and strategies. Strategies For Participants In The Environmental Consulting Services Industry: The report identifies over 20 actionable strategies for environmental consulting services businesses, based on trends or key companies’ approaches, including promoting the installation of IoT technologies that can help enterprises and governments monitor and conserve the environment and Large companies’ acquiring small firms to retain and increase market shares. 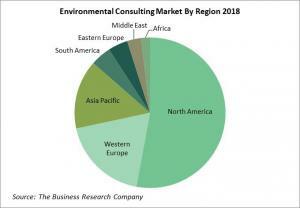 Opportunities For Environmental Consulting Services Companies: The report identifies the global, regional and country subsegments where the environmental consulting services market will put on most $ sales up to 2021. Sourcing and Referencing: Data and analysis throughout the report are sourced using endnotes. Sources include primary as well as extensive secondary research.